ABU DHABI: 10th January, 2019 - The Abu Dhabi Department of Education and Knowledge (ADEK) in cooperation with the UAE Ministry of Education, has successfully concluded the 2018/19 Winter Activities Program, which was held under the slogan, The UAE Spirit Camp. Diverse program events ran from 16th December to 10th January 2019 where 1,160 students participated in three main specifically designed projects: Sir Bani Yas Challenge, the Future Leaders Journey and Heritage, Culture and Science at Community Schools, which are aimed at raising a creative generation while optimizing a student’s time during the school holiday. ADEK’s priority is to focus on promoting national identity amongst students. The first project of the Winter Activities Program, the Sir Bani Yas Challenge, took place from 16th to the 20th December 2018, during which 60 high school students participated. The students, in ten teams of six, learned and competed with each other in several different disciplines according to their skills and capabilities. The program included scientific, environmental, sports and cultural activities which aimed to provide students with leadership and responsibility skills by fully engaging them in a variety of undertakings. The Future Leaders Journey was the second project in ADEK’s Winter Activities Program and ran from 21st to 30th December 2018 with 100 students divided into three groups taking part in the program. Core activities including field trips to historical, cultural, scientific and national landmarks in the nation were arranged along with workshops formulated to improve a student’s ability, while providing them with skills, experience and knowledge necessary to prepare them to be leaders of the future. The last project of the Winter Activities Program, Heritage, Culture and Science at Community Schools ran from 23rd December to 10th January 2019 for all Grade levels. 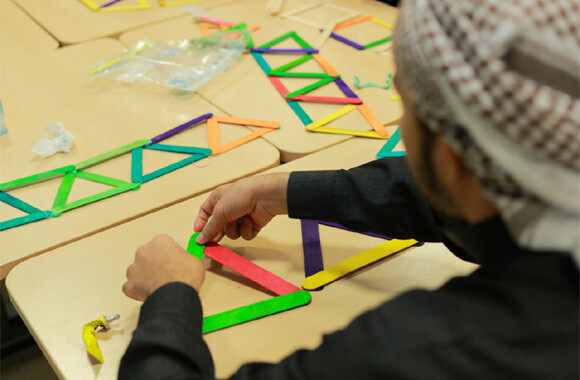 The program consisted of four basic pillars: Science and Maths, Robotics and Programming, Sports and Health, and Culture and Heritage, accommodating approximately 1,000 students divided into three groups with the purpose of instilling a sense of national pride amongst students, enhancing their awareness and appreciation towards the Emirati culture, while boosting their skills in introductory fields of knowledge. The Winter Activities Program in Abu Dhabi is part of a series of strategic initiatives adopted by ADEK to raise a well-versed educated generation in skills necessary to serve the community.